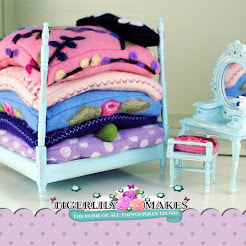 Hello everyone, well we hope you liked the introduction to our complete starter needle felting kit... we a Tigerlily Makes love this kit and all its exclusive features. So we thought we would follow this up by sharing our very basic introduction to needle felting. Hope you enjoy and keeeeeeeeeeeeeeeeeeep felting!